Professors do not always understand why accommodations are necessary, or exactly how to implement them in their classrooms. The process to receive accommodations is often long or strenuous, usually requiring a formal diagnosis. 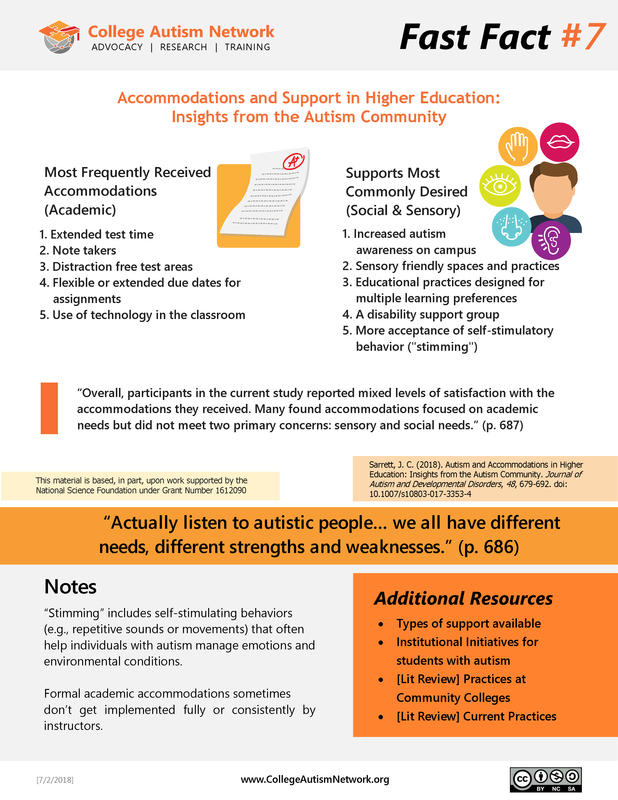 Accommodations don’t cover all the students’ needs, such as social and sensory needs which are not as easy to accommodate for in a regular classroom.